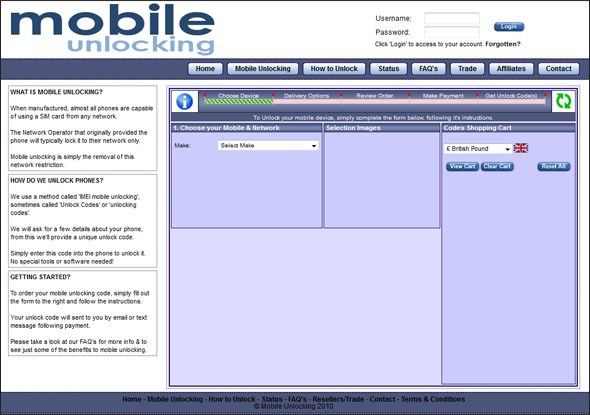 When you open a reseller account you have access to many tools to help you sell your unlocking services. 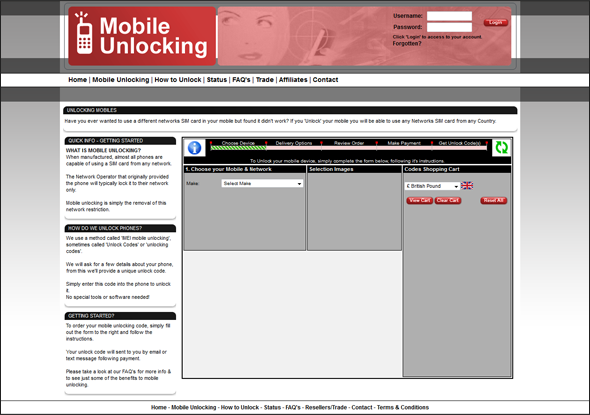 If you have a website and would like to sell unlocking codes from it, we have a simple to use mobile, tablet, desktop friendly ( responsive ) website plug-in that can be installed in minutes. But, if you don't have a website yet, you can download one ! 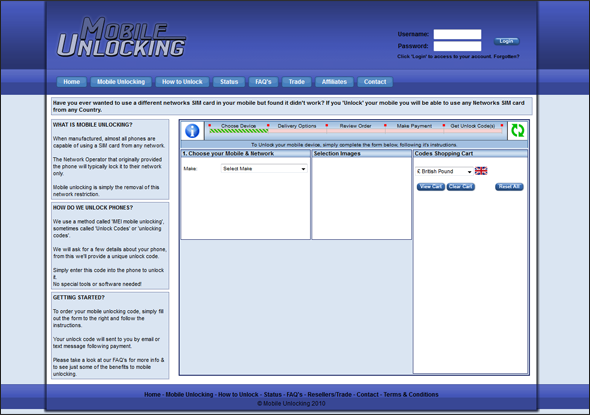 This is a mobile, tablet and desktop friendly website plug-in that will adjust itself to fit any device. 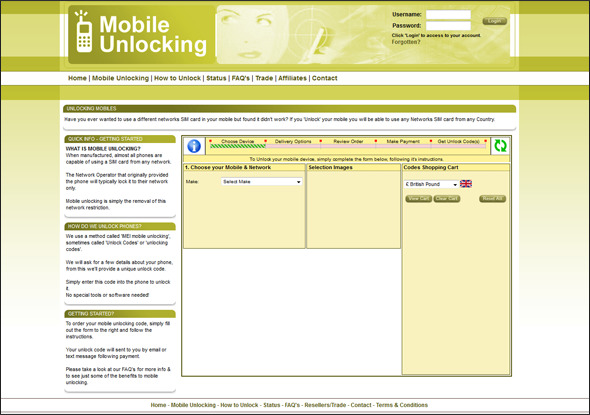 Try resizing your browser or view it on a mobile. To insert the plug-in into a web page all you need to do is place the following line of code at the bottom of your html page, just before the closing </body>. 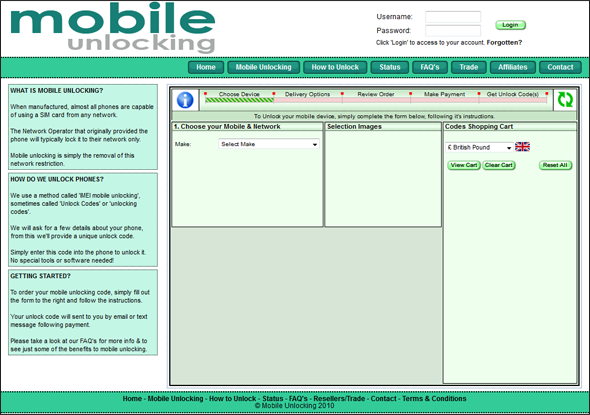 One of the unique features of opening a resellers trade account is the ability to download a complete mobile unlocking web site and be operational in minutes. 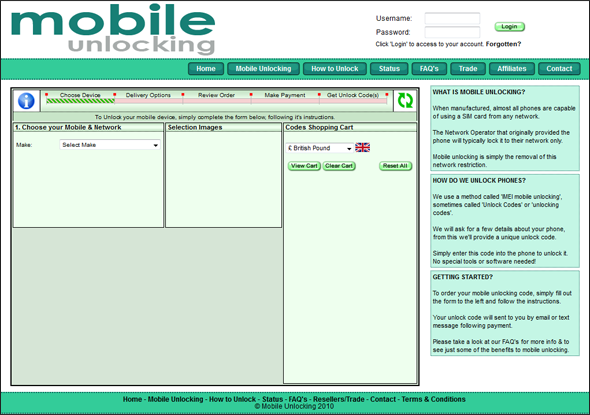 We have a good selection of ready-made templates and styles, all you need to start your very own on-line mobile unlocking business ... quickly and hassle free. • Summer Meadow • Black & White ... and more! Just a PayPal sellers account - This can be easily set up for FREE by clicking here. Details of your PayPal sellers account can then be entered into the correct section in the account user interface enabling you to collect direct payment for Unlock Code purchases. We have a handy PayPal Getting Started guide to download, this makes things nice and simple. Plus we have more detailed instructions online when you login.